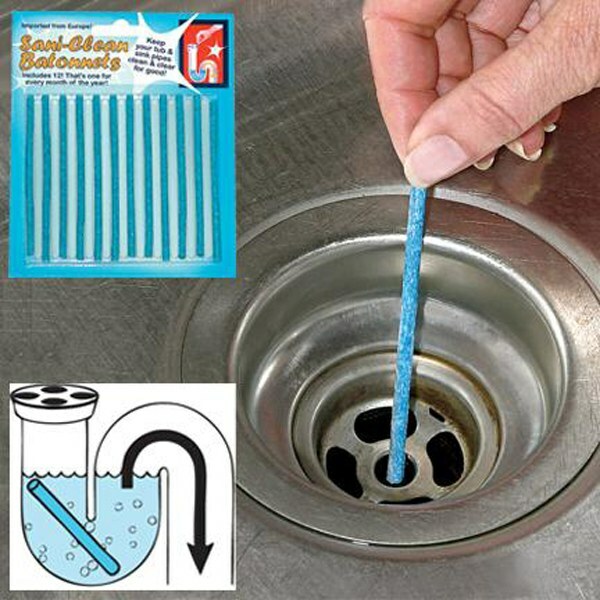 Odor free drain sticks help keep drain clean, clear and free of clogs. Includes 12 batonnets to last a whole year. Just drop one slim batonnet into your sink or bathtub drain each month to help keep pipes clear and odor-free! These fuss-free cleaners have enzymes that break down buildup - keeping sinks fresh and free of clogs. nott enuf and didn&apos;t do the job vwell.